Over the holidays my nephew and his wife had a new arrival so it is time for me to make a quilt for my new grand-nephew. I went to the fabric store and couldn’t pass up this Dr Seuss fabric. It is Robert Kaufman fabric called Celebrate Seuss. 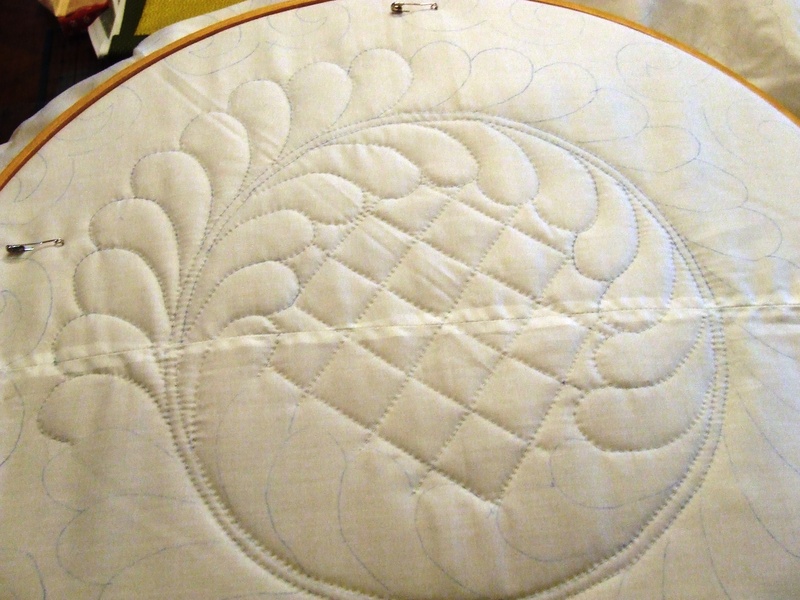 I will cut the individual squares apart and add sashing in brown and I have light blue flannel for the backing. 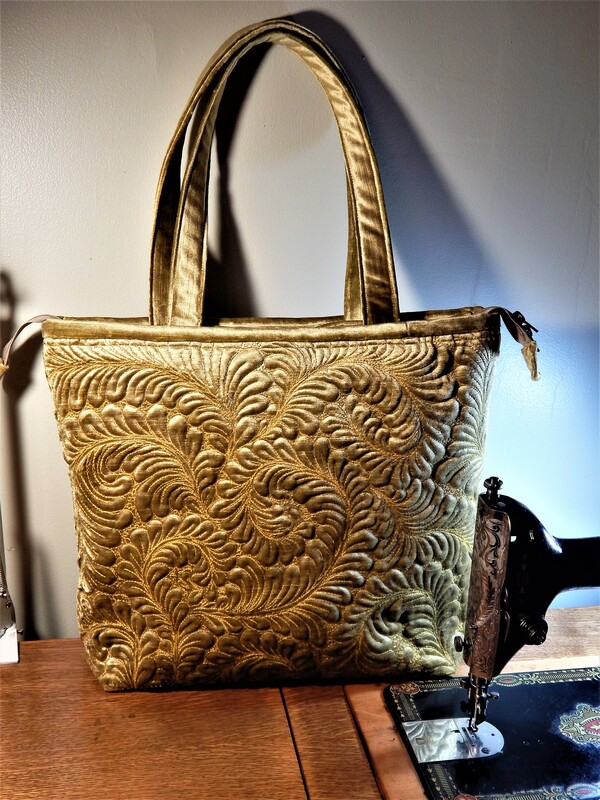 The idea is excellent and the fabric is excellent — very luck nephew, although he doesn’t know it yet. this will make a perfect little boys quilt! How cute! And what a keepsake for your grand nephew. Can’t wait to see it finished. So cute and I love the colors! Make sure you include a couple of Dr. Seuss books with the quilt!! Perfect timing as March is reading month and both the author and his books will be celebrated in schools throughout the country!! Great choice!! That’s fun! 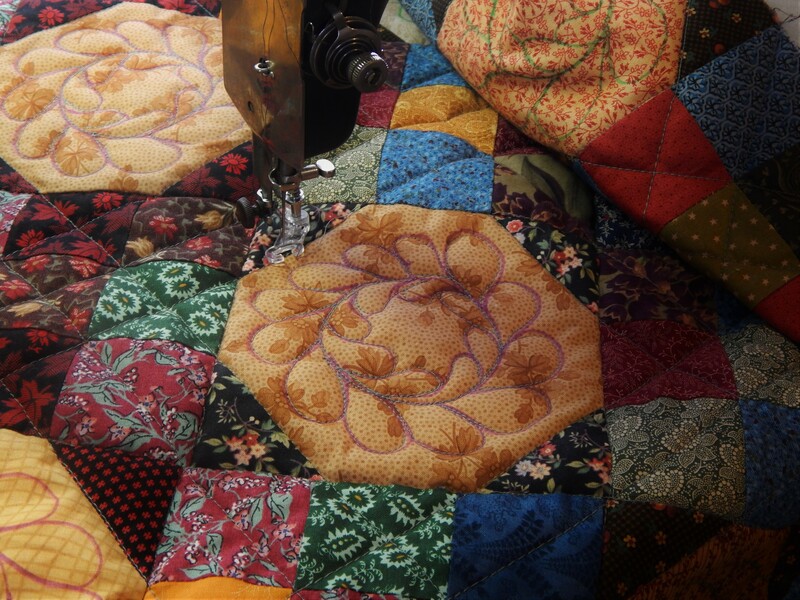 How are you going to quilt it? 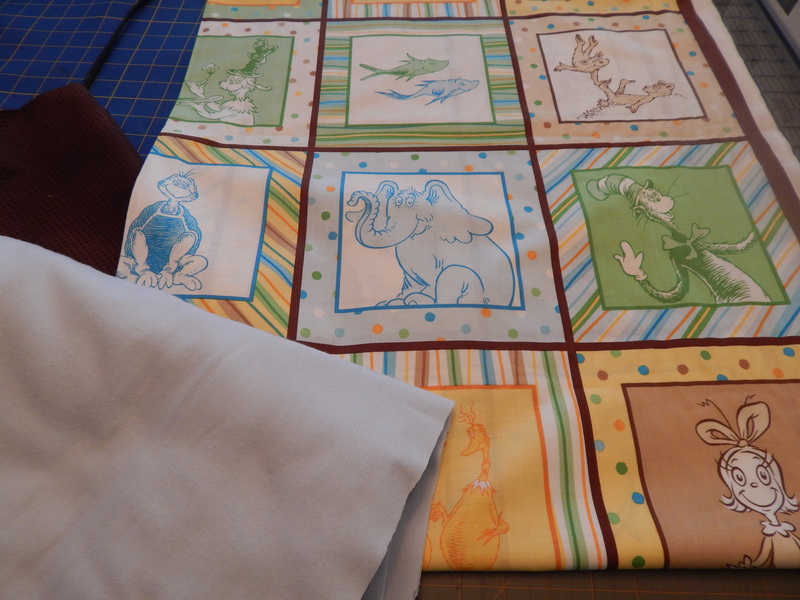 Wonderful, wonderful fabric–I just looked at all the characters and thought, “oh, there’s Horton! There’s the Cat it the Hat!.” They’ve stuck with me all these years. Cute Dr. Seuss fabric. I’m finished up one baby quilt for a grand-niece at Christmas and have another one I’m just finishing. My sisters and I are collaborating on another baby quilt for a niece expecting this month. 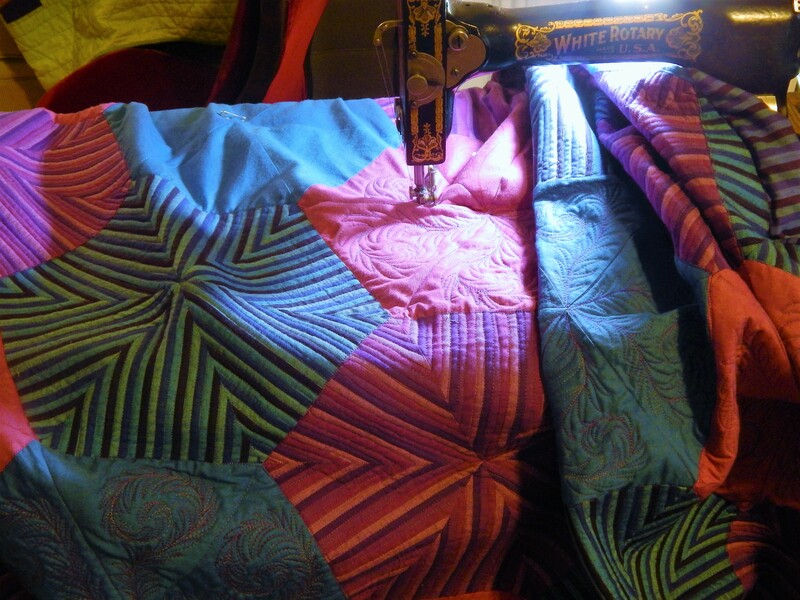 I’ve always enjoyed making baby quilts and probably cannot recall all of them that I have made in the last 33 years. Someone’s always having a baby.